This blog post was contributed by GlobalVision International, Inc. a software localization and translation service provider. You can find similar posts on translation, localization technology, website globalization and medical translation trends on the company’s blog: GlobalEyes. Ed. Note. Thanks to GlobalVision for this post. They are one of the preeminent providers of software localization services in the USA. If you’re struggling with software localization, you can count on GlobalVision for excellent results. In the previous blog post, we discussed how to translate .properties files in Wordbee without breaking the code. In this post, we will discuss how to translate spreadsheet files like CSV and XLS that are often used by software developers and webmasters to export GUI, error messages, and other text strings into a spreadsheet to facilitate the translation process. Why Are Excel Files Popular in Translation and Localization? When Microsoft launched Excel in 1985, it quickly overtook Lotus123 and became one of the most widely used software applications on desktop computers in the business world. Part of the Microsoft Office suite, Excel is an electronic spreadsheet program that is used for storing, organizing, and manipulating data in rows and columns. Because of its usability and versatility, Excel is often used by software developers and webmasters to send in their text to be translated, whether manually extracted or exported from their database management system (DBMS) or content management system (CMS). Furthermore, Excel’s early extensive support of all character encodings and ability to retain multiple character sets in the same sheet made it the tool of choice to store strings in any language used around the world. An XLS file can hence store Latin based languages like English; French; Spanish; along with Arabic (bidirectional); Asian languages like Japanese, Chinese, and Korean (double-byte); Cyrillic; Greek; Hindi; Viet; Malay; and any other script, language, or character set used around the planet. With all their obvious benefits, Excel files still present significant challenges to translators. Spreadsheet content might include simple extracts such as single words or sentences from user interfaces, videos, and graphics, to much more complex extracts as HTML webpages, XML, SQL and others. The challenge starts by identifying what needs to be translated and protect the cells that should remain intact. Another challenge is to keep the table structure intact. This is vital to enable the translated file to import back into the DBMS or CMS without issuing formatting and tag errors. Additionally, Excel files often contain multiple sheets that translators need to recognize. Each sheet may contain entire sets of data or content that may or may not require translation. An example of that is comments or descriptions that help guide the translators in the process of understanding the intended meaning of the source text. You can see a good example in the above image. Lastly, companies requesting their Excel files to be translated expect one file to house all the source and target languages. A typical request involves translating the source text in a different column for the required languages. So for instance, column A may contain the English source strings, column B is expected to contain the French translation, C Spanish, D German, E Japanese, etc. 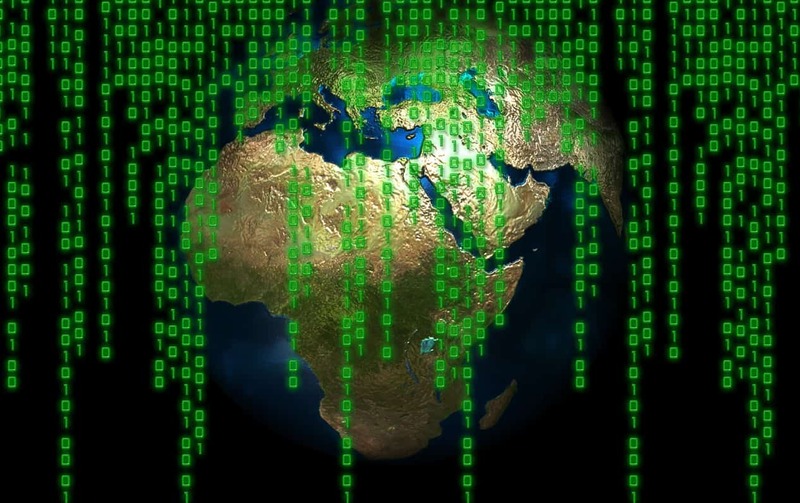 We’ve seen one XLS file containing as many as 36 European, Asian, and Middle-Eastern languages. Why Use Wordbee When Localizing CSV and XLS Files? As crowded and disorderly as text may seem in your spreadsheet, Wordbee has an extensive list of settings that you can configure to make an unruly Excel file become completely orderly and manageable. Wordbee’s Excel format configuration will help you manage how content is extracted, and define which columns, rows, and sheets should be translated. These features seamlessly and efficiently address many of the challenges discussed above! For instance, if a column should not be translated, you can just hide it in Excel and ask Wordbee to exclude the hidden columns. Another option would be to list all columns that need to be translated. But Wordbee does not stop here. It also lets you choose specific text colors to exclude from translation. And if the above is still not sufficient to address all your needs, you can use the regular expression engine to exclude words, terms, portions of a segment and even complete segments from translation. Most impressively, you can set the multilingual Excel format configuration to translate the spreadsheet into multiple languages. This is a brilliant feature that helps translation managers get a single multilingual file at the end of the translation of all needed languages. Compare that to the alternative, which is getting multiple XLS files (typically one pre language) that require proper sorting and laborious manual copy and paste steps to combine all the translations into one single file. Now this may not seem like a big deal, but imagine you are translating ten thousand strings into 36 languages. This will require copying and pasting over a quarter a million strings into one spreadsheet, hours before a translation project is due. Can a human being guarantee getting this feat accomplished with zero errors? Want more? 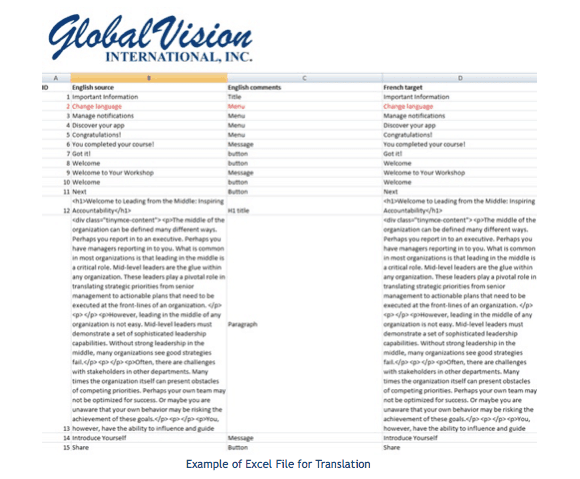 The Wordbee Excel configuration can also keep an eye on the length of your translated text. This is in case you have any limitations on the number of characters allowed in your translated material. This feature is very useful when translating user interface strings, pay per click ads, or other content with limited display space or text length restrictions. What Do Excel Files Look Like in Wordbee? Below is a sample content of an XLS file. In this file, we marked column D as the only column for translation. You may also notice that the text in red was omitted from the translation editor as we defined red as not translatable. Wordbee hides all other columns and text that should not be translated and displays only the text pertinent to translators. 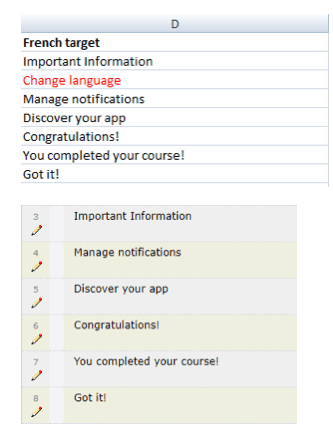 Furthermore, when analyzing the file for translation, Wordbee will only count the words that are marked for translation. So if your Excel file contains thousands of untranslatable words, your translators are only paid for the words that need translation. Wordbee will leverage the translation of all strings found in the translation database and will enable the storage of newly translated strings. This streamlines the translation process and permits future updates of Excel files to take place with minimal overhead and maximum consistency. Often, with exports from content management systems of web based files, internal HTM code comes through in the Excel files. HTM code should not be translated, but it needs to be moved around based on how the sentence is translated. Bolded or Italicized words may need to be moved around, or the emphasis completely removed. Software developers as well as webmasters are notorious for changing software and web content in the last minutes prior to release. Also, with the advent of Agile programming methods, changes occur periodically and releases happen very frequently. This often puts undue pressure on the localization team to keep up with all these changes and work on releasing all required languages simultaneously, or within hours from the source language release. By engaging a software localization service provider that adopts the use of a translation management system with a robust translation memory solution like Wordbee, developers and webmasters can continue to do their jobs unhindered. With Wordbee, GlobalVision staff can quickly and effectively parse exported Excel file updates and leverage already translated strings. This enables our translators to attend to last-minute translation changes effectively and with minimal overhead. With the “one file for all languages” feature in Wordbee, we return one updated CSV or XLS file housing all languages, immediately after the translation and its review are completed. This enables the timely and simultaneous release of our clients’ multilingual products and websites in all localized languages. All this and without the need to install a single app beyond a web browser, which all computers have.